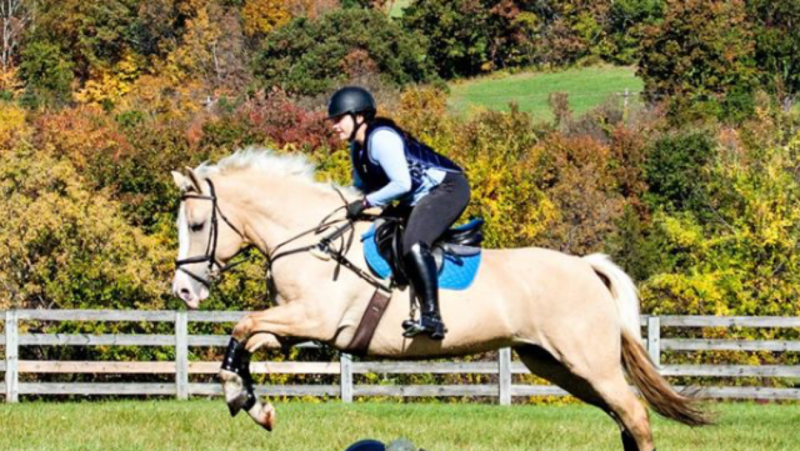 A picture is worth 1,000 words, but no one ever gave me an estimate of how many words a picture of a fat, palomino mare galloping hell-for-leather across a cross country course is worth. I am assuming it is a lot. In May of 2015, I traded a 16.2, registered Quarter Horse gelding who I had owned for nearly 3 years for a 15.2, palomino mare who is some kind of draft cross (best guess is QH/Belgian). I received only the advice of my trainer, and I had the sole goal of eventing her. We were at mostly the same level of experience with eventing. As in, we had jumped some XC fences randomly in our lives, but we had never actually trained for the sport. In fact, those are real life pictures of the majestic beast that I brought home. We brought each other to our first recognized horse trails at BN, and I brought her with me across the country when I moved to KY in 2016. As a 20-something with a full time, non-horsey job, and a limited budget, I am proud to say that we have accomplished all of this and am excited to see what more we can do!